Originated from the Computer Department within the Faculty of Electrical & Electronics Engineering, the Faculty of Computer Science and Engineering was founded in 1993. It is one of the seven key faculties of information technology in Vietnam. The Faculty offers comprehensive and extensive education and research programs in five principle fields leading to the award of bachelor (engineer), master and doctoral degrees in Computer Science and Engineering. These programs include computer engineering, computer science, information systems, computer networking, and software engineering. 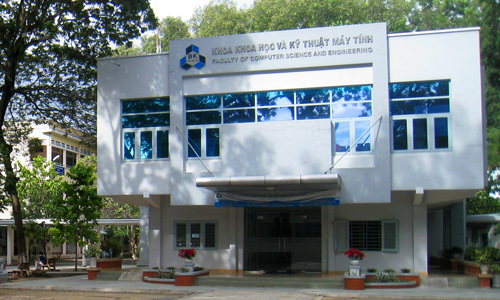 Faculty of Computer Science and Engineering bears the missions of fostering and educating engineers, specialists and researchers to be qualified for the professional world in order to contribute well-trained engineers and researchers in the information technology field in Vietnam. The Faculty considers its staff as the most valuable assets. Most of faculty members have been educated and trained from universities and institutes in Northern America, Europe, Australia, and developed countries in the region. The faculty regularly maintains and upgrades different laboratories for practice and research. The faculty also has its own library of over 2000 items specialized in Computer Science and Engineering regularly updated and supplemented, and 2 reading rooms for students and staff.